Home Shop Radio Control Trucks 1/10 Trucks Rc Landfreeder Matte Black Sp. 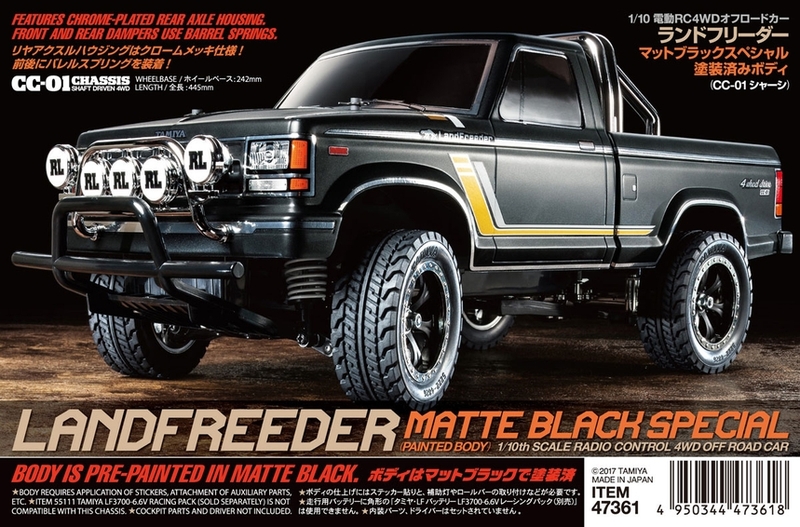 Rc Landfreeder Matte Black Sp. Excellent ground-hugging, long-stroke suspension system consists of front double wishbone and rear 4-link rigid setups and is equipped with 4 oil shock dampers. Highly reliable and efficient full-time 4WD system features a front-mounted motor, which transmits power to the front wheels via the gearbox and to the rear wheels via the propeller shaft with universal joints. Front and rear differentials enable smooth cornering. For even greater off-road performance on rough terrain, the rear differential may be locked during assembly. •	Length: 455mm, width: 193mm. Wheelbase: 242mm. 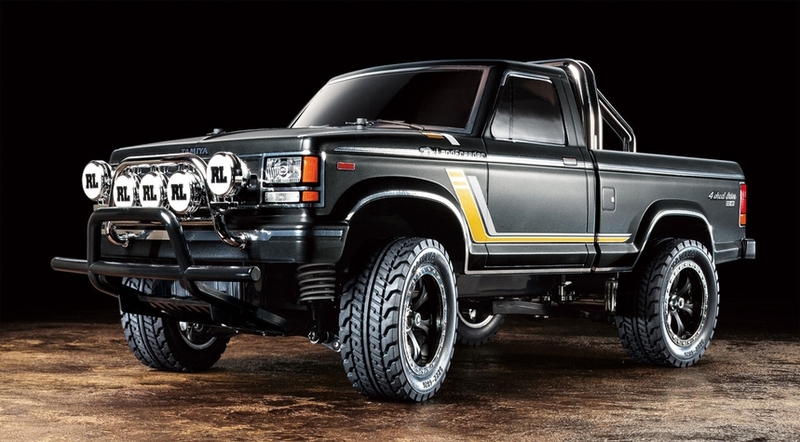 •	The LandFreeder pick-up truck body comes pre-painted in matte black. It requires application of stickers and attachment of auxiliary parts. •	Comes with 2 hard (for front) and 2 medium (for rear) barrel springs from Item 54666 CC-01 Barrel Spring Set. 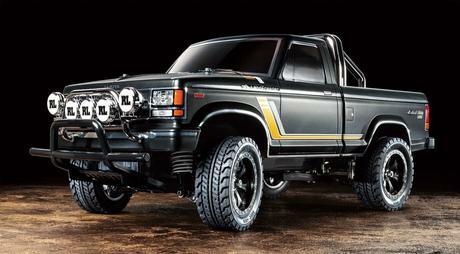 They provide progressive damping for a smoother off-road ride and better handling of roll. 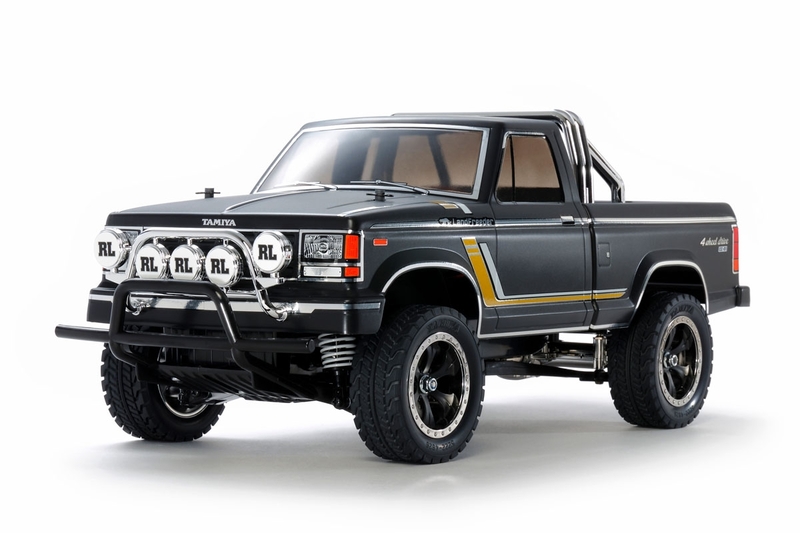 •	Includes Metal-plated fog lamp, grille guard and roll bar.